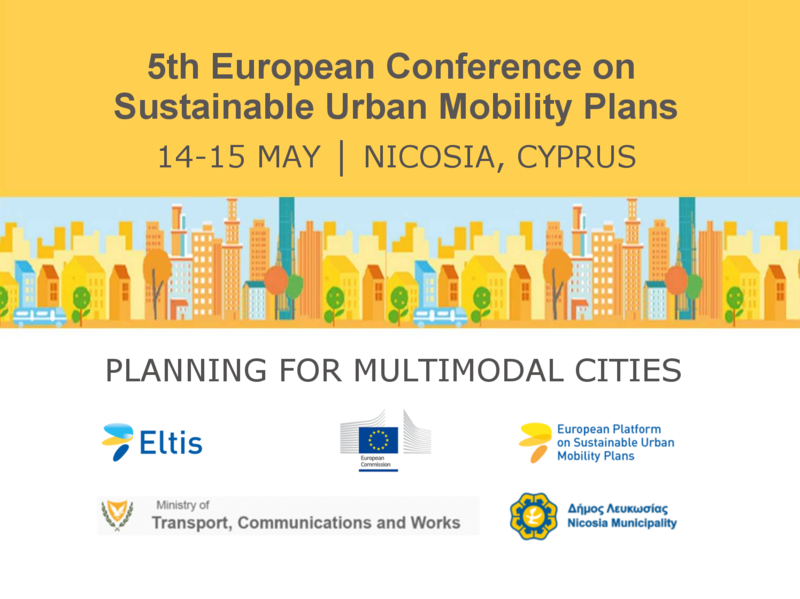 The European Commission's 5th European Conference on Sustainable Urban Mobility Plans (SUMPs) took place on 14-15 May in Nicosia, Cyprus. It is Europe's leading annual event for all those involved in putting the SUMP concept into practice. It serves as a forum for policy makers and academics across Europe to network, debate key issues and exchange ideas on sustainable urban mobility planning. Attendance is free of charge. In line with the European Commission having dedicated the year 2018 to the promotion of multimodality, the theme of the 5th edition was multimodality, with a focus on the integration of transport modes and combined mobility solutions for passengers and freight in cities and regions. The conference was co-funded by the European Commission in cooperation with the Municipality of Nicosia and the Ministry of Transport, Communications and Works of the Republic of Cyprus. In case you have inquiries, please contact sump2018@eltis.org. Nikolas Thomopoulos, University of Greenwich - What is the role of Autonomous & Connected Transport in SUMPs? Mathias Mitteregger, AVENUE21 future.lab TU Wien - Connected automated vehicles - what are we planning for? Presentations from Tirana, Sarajevo, Hradec Kralové, Budapest, Pristina, Palanga, Skopje, Podgorica, Belgrade and Lviv.